Living in West Michigan along the lake is a bonus, but finding someone to help maintain the docks and seawalls is sometimes difficult. Residents of Ludington and surrounding communities are fortunate to have Carie's Marine & Home Construction, LLC. They offer complete marine services for boat houses, docks, seawalls and boat lifts. Whether you're considering new construction, renovation or demolition...the staff at Carie's is always professional and courteous. They'll come out and discuss the job at hand, offering suggestions and answering your questions. They stand behind their work, with prices that are very reasonable. Seawalls are very important, as they help protect your property from erosion. 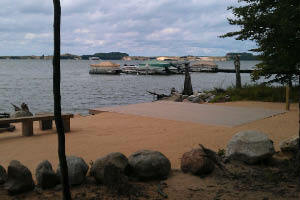 Carie's can construct your seawall, in steel, wood, or vinyl...and can also install foundation and ice break pilings. They will even file the DNR-DEQ permit. If your existing seawall is in need of repair, they'll fix it up so it looks like new. A quality-built seawall is what Carie's does best, and improves the look of your property. Just like your car needs a garage, your boat needs a house to protect it from the elements. 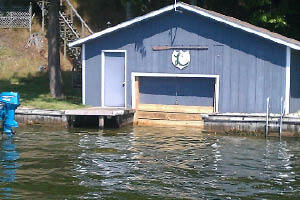 Carie's Marine can build you a sturdy, attractive boat house, or demolish your existing one. There's many models to choose from, including boat houses with decks on top so you can enjoy the lake view. They can even install cable lifts and suspended boat lifts. Anything related to marine work Carie's can do! Carie's Marine & Home Construction takes the hassle out of installation, relocation, and removal of docks. They sell and install RGC, Metalcraft and Captain's Choice products. 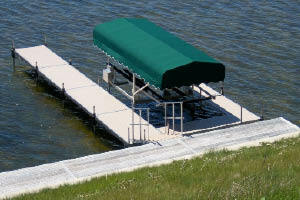 Many choices are available in materials for your dock, including maintenance free Thruflow decking. Boat lifts can be tricky and best left to a professional. 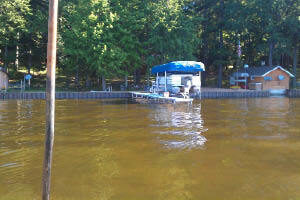 Carie's has years of experience installing and repairing boat lifts and the hydraulics involved. You won't have any trouble getting your boat in or out of the water with a lift from Carie's Marine. There's no one in the Ludington area more experienced or professional than the team at Carie's Marine & Home Construction. They do it right...so you can relax!